Former Romanian national team player and member of EHF Women’s Handball Board has been appointed Secretary of State for Youth and Sport. The Prime Minister of Romania has this week named a new Secretary of State for Youth and Sport. 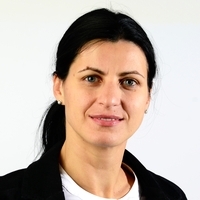 Taking on the role is former national team player and current Vice President of the Romanian Handball Federation, Narcisa Lecușanu. As a player, Lecușanu represented Romania more than 100 times, winning a silver media at the 2005 World Championship in Russia. During her professional playing career she played for leading clubs in Denmark, FYR Macedonia and Germany as well as in her home country. Lecușanu now also plays an active role in handball within the European Handball Federation as a member of the Women’s Handball Board.